Bloggs Salons is proud to announce that they will be supporting local charity Jessie May in 2017. Jessie May is a charity that provides specialist nursing care for terminally ill children in their own homes. They offer vital respite care and emotional support to those children’s families, as well as end of life care and bereavement support, allowing families to make the most of the precious time they have together and creating treasured family memories. Currently Jessie May helps 129 children, with a further 41 bereaved families also receiving ongoing support. Since the charity was founded in 1996 they have supported over 315 children and families in Bristol, North Somerset, South Gloucestershire, Bath & North East Somerset and Swindon & Wiltshire. All of the children the charity cares for have extremely complex medical needs and Jessie May Nurses make respite visits for as long as they are needed – providing parents with expert help to care for their children, emotional support to help them cope with their worries and fears, and relief from the acute isolation that the families they help so often feel. A trusting relationship between family and Nurse develops which helps Jessie May Nurses to deal with all the demands of their children’s physical care, including their medication, and they are ready to respond quickly to changes in a child’s condition. All the services Jessie May offers are free of charge to families, so they rely on fundraising and local support to be able to continue caring for children in the local area. 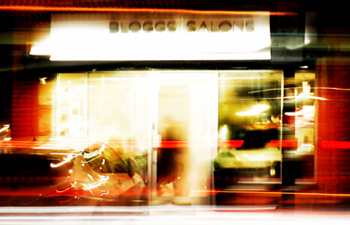 Bloggs now have two salons to choose from, come and see where we are based and what we offer at each of them. We have a range of specialist services to offer you, please have browse and see which of them suit your requirements.